My colleague Leo Valiquette came to me with a thoughtful question the other day: When the same article is being syndicated across the web, does that have negative consequences for search? While I have some basic knowledge in search engine optimization I was eager to learn more and so I turned to Chris Biber, president and CEO of SearchingWorks and our SEO advisor, for answers. Generally speaking, thoughtful content syndication is a great way to increase online visibility for a company, said Biber. But he also drew the distinction between content syndication and article marketing. All too often marketers fall off the tracks by not following best practices and resorting to black hat content distribution (aka article marketing) methods that can ultimately damage a company’s search engine ranking and online reputation. 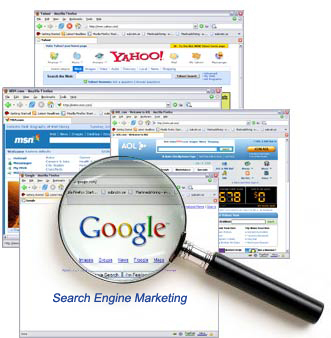 Google’s goal is to find the most authoritative and relevant results for your search query. For content syndication purposes, Biber says it’s best to work with Google, not against it, to help it identify you as the original content creator. “There are no short cuts to online authority and you don’t do yourself any favours by trying to trick Google into thinking your site is authoritative,” said Biber. When companies cut corners and opt for black hat content distribution methods, such as article marketing robots, they can encounter a number of problems. For instance, duplicate content that lacks proper attribution to the original content, whether through meta tags or links, can hinder Google’s ability to identify the authoritative source of the content. If your content lives on spammy sites and Google can’t identify a credible source, it might ignore your content in its rankings because it identifies it as poor quality and most likely irrelevant. Even if Google doesn’t directly penalize you, you’re doing yourself a disservice because, where there isn’t proper attribution, you’re forcing Google to choose which content is relevant for the query, which means you’re leaving things to chance and may have to compete with your own content for the ranking. In addition to duplicate content issues, Biber said companies should avoid content distribution systems that automatically rebroadcast content across hundreds of spammy sites because any boost in that content’s SEO would be feeble. The best approach, and the one we employ here at Francis Moran and Associates, is a targeted one. We have seen tremendous results from this content marketing tactic, having established relationships with relevant, high-authority sites where our content is regularly rebroadcast. The benefits of building authentic relationships with high-quality and relevant outlets are multi-fold: we receive valuable exposure on high-authority sites, the links to our content are stable, and we maintain an influential presence where our audience lives. Whether we rebroadcast our content ourselves through the content marketing systems of these outlets or they pull our content with permission for rebroadcast, we follow a number of best practices to ensure Google knows that we are the original content creators and SEO beneficiaries. Links in your post should link directly back to you. The best links are direct links to deeper content on your site, such as the article itself instead of the home page. To further help Google, ensure that links are fully qualified (include the http:// moniker) and link back to the original content location (not just the home page). A good way to do this is by including an introductory graph at the start of the article, explaining where it came from. Use rel = ‘canonical’ meta tags to point Google to the authoritative source version of the content. SEO plugins on WordPress, for example, often automatically include these tags on posts, but they can also be added manually. As a bonus, use rel = ‘author’ meta tags to identify the author of the post to searchers through an image. Search results with images have a much higher click-through rate, and they help people identify the author as an influencer. While it is possible to do this on rebroadcast sites that allow it, this is most important for the original content for visibility in the search engines. If you cannot add rel= ‘canonical’ tags to your content through the rebroadcast outlet’s CMS, it’s good practice to ensure your content is rebroadcast a day or more after the original publication date to help Google determine that it is not duplicated. You want to ensure that the original content has been seen by Google’s crawlers. Another way to avoid the duplicate content trap and to build the authority of the content on other sites is to use an editor’s note at the beginning of the article. This differentiates the article from the original content and provides a reason to both viewers and to Google to consider this content for further use. Another way to make the republished content unique is to include user-generated content, such as comments. Target only relevant sites for content syndication. Irrelevant sites won’t do you any favours because your target audience is unlikely to see them and an unfocused, irrelevant site will not provide much in terms of link strength back to your original content. Ensure you’re seen as the authority, even if the rebroadcast outlet holds more domain authority than your own site. Syndicated content can show up in search results, sometimes alongside the original content. This isn’t a bad thing when the blog author has made it clear that he or she is the original creator of that content and that the original content lives on his or her own site. There you have it. If you have any questions, please don’t hesitate to ask in the comments section below. I’ll link Biber into the discussion as required. Also, if you have any content marketing requirements we’d love to hear from you as we have begun rolling it out as a service offering. Content marketing for SEO purposes is about quality rather than quantity. It’s better to have your content listed on a few relevant sites that actually get traffic from target audience members than on hundreds of low quality sites that nobody visits. Focus on creating original content and find the right places to share it and form relationships with those site owners.